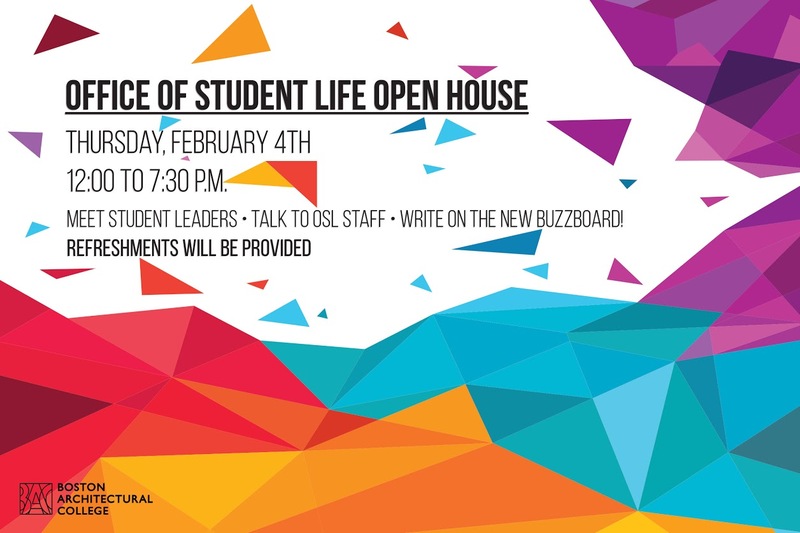 The Office of Student Life will be hosting an Open House on Thursday, February 4th from 12:00-7:30pm. 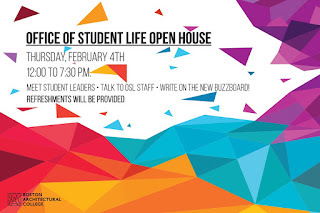 Eat FREE food, WIN PRIZES, and meet student leaders! We are located in the back corner of the first floor of 320 Newbury, stop by for FREE coffee and write on the Buzzboard!